From award-winning director Michael Mann comes the film inspired by one of the country’s most captivating and infamous outlaws - John Dillinger. Johnny Depp stars as the charismatic and elusive bank robber marked by the FBI as America’s first “Public Enemy Number One.” Academy Award® winner Marion Cotillard plays Billie Frechette, the only woman capable of capturing his heart. Hunted relentlessly by top FBI agent Melvin Purvis (Christian Bale), Dillinger engages in an escalating game of outrunning and outgunning the FBI, culminating in an explosive, legendary showdown. “It’s a landmark crime saga” (Peter Travers, Rolling Stone). $25.271 million on 3334 screens. A legendary gangster gets yet another big screen examination via 2009’s Public Enemies. Notorious John Dillinger (Johnny Depp) robs banks and runs from the law. Federal agent Melvin Purvis (Christian Bale) pursues him. And that’s about it in terms of plot. Sure, Enemies throws in some other flourishes here and there, but this cat and mouse theme really accounts for the vast majority of the film. Anything else seems incidental. And in Mann’s defense, the second half of Enemies does come across as better defined and more involving than the first half. Still, Mann creates a flabby narrative with plenty of slow spots that lack any discernible point. Some movies provide the viewer with few clear opportunities to depart for a needed bathroom break. I even mentioned in my review of The Dark Knight the fact that I was so riveted to the screen that my bladder nearly burst. No such issues affected my screening of Enemies - which was good, since I downed a roughly 800-ounce Coke Zero as I watched it. With all that fluid in me, I needed plenty of trips the can, but I didn’t miss a beat. Heck, I think I could’ve hung out in the lobby for 45 minutes and still have picked up on the action without any confusion. That’s because very little actually happens in Enemies. My plot synopsis may be brief, but it’s accurate. Oh, occasionally Purvis catches Dillinger, but the outlaw soon escapes, so the pattern repeats itself. That’s essentially it. 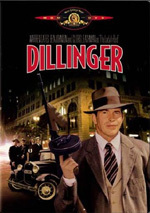 Sure, Dillinger’s romance with Billie Frechette (Marion Cotillard) potentially adds a little emotion to the affair, but that aspect doesn’t affect the plot – other than to give Dillinger more traps into which he could fall. The Frechette subplot certainly doesn’t help flesh out the lead character. 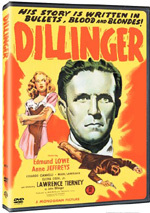 From start to finish, Dillinger remains little more than a cocky renegade; attempts to imbue the character with more depth occur infrequently and seem unconvincing. Still, Dillinger is positively multi-dimensional compared to stalwart G-Man Purvis, generic love interest Billie, or the masses of additional cops and robbers, each of whom remains utterly forgettable and anonymous. Occasionally I wondered if Mann intentionally tried to make the characters bland and disposable to keep the attention on Dillinger. Or maybe Mann just was too concerned with creating an ugly film in terms of its visual style. Obviously enamored of modern digital cameras, Mann has used that equipment for at least parts of his last few flicks. The digital video format wasn’t a problem in the glossy world of Miami Vice, but here it feels odd and ensures a distance between the story and the viewer. I think that a filmmaker who takes on a Depression-era subject like this needs to at least nod in the general direction of the period’s film styles. No, I don’t expect Mann to go the Good German route and attempt a literal recreation of mid-1930s techniques. However, I think that viewers subconsciously buy into a period flick more if it reminds us of movies from that era. I don’t know if I’d call this verisimilitude, but the use of at least vaguely 1930s-esque visuals allows the audience to more easily connect to the material. Mann violates this notion in a number of ways. First, like too many filmmakers these days, he equates “bad handheld camerawork” with “documentary-style realism”. As usual, this technique flops. The jerky camera movements take us out of the action rather than draw us into them. It’s a cheap way to try to give the audience a “you are there” feel, and it fails. In addition, the use of digital video means that Enemies often simply fails to look like a film. Some parts of it have a reasonably film-like appearance, but much of it resembles a damned YouTube video. I don’t want to watch a period drama that looks like a dweeb with a camcorder shot it. This style works for flicks like Cloverfield but seems off-putting and odd here. Maybe someday Michael Mann will make another good movie, and I had high hopes for Public Enemies. Unfortunately, Mann created a disjointed, dull stinker with an unappealing visual style. He wastes a good cast with this forgettable tale. 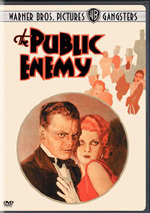 Public Enemies appears in an aspect ratio of approximately 2.40:1 on this Blu-ray Disc. Various style choices occasionally made the film look less than stellar, but the transfer accurately represented the source. Overall sharpness was very good. Only a minor smidgen of softness ever occurred, as the vast majority of the flick appeared tight and concise. I noticed no jaggies or moiré effects, and the image also lacked edge enhancement. Some video artifacts occasionally made things a little grainy, but the transfer didn’t suffer from any source flaws. Colors varied dependent on the shooting style. In particular, the elements shot on video tended to be a little brown and flat. However, much of the movie offered positive hues. They were somewhat muted to match the period feel, but they looked fine. Blacks were dense and tight much of the time, and shadows usually seemed clear and smooth. Again, the video elements could make these a bit thick, but they were good most of the time. This ended up as a “B+” presentation. I also liked the DTS-HD MA 5.1 soundtrack of Public Enemies. With a lot of action scenes, the movie got quite a few opportunities to take advantage of the five channels. While it didn’t use them in a super-active manner, it still managed to flesh out its settings well. Gunfire and vehicles cropped up in logical locations and blended together nicely. I would’ve liked a little more activity from the surrounds, but they still added good dimensionality to the piece. Audio quality excelled. Speech was concise and natural, and music simply sounded terrific. The score seemed vivid and dynamic throughout the film. Effects appeared accurate and full, with good clarity and impact. Though the track could’ve been a little more involving, it was still quite good. We get a nice collection of extras here. These launch with an audio commentary from director Michael Mann. He provides a running, screen-specific look at historical/period elements, sets and locations, music and costumes, cast and performances, visual/storytelling choices, research, and a few other details. You shouldn’t expect a ton of movie-making info here. Instead, Mann prefers to discuss historical areas and delineate the film’s facts/fictions. That side of things is interesting, though I’d prefer a better balance with more about the flick’s creation. The track also suffers from a fair amount of dead air. Despite those concerns, Mann offers enough good material to make his commentary worth a listen. For something more interactive, we jump to U-Control. This allows two different components that run along with the movie. Historical Interactive Timeline follows the film’s events/characters and provides factual details about them. It includes remarks from Mann, Public Enemies author Bryan Burrough, producer Kevin Misher, Melvin Purvis’s son Alston, Lake County historian Bruce Woods, Chicago PD tech advisors Don Herion and Nick Nickeas, property master Kris Peck, FBI tech advisor Dale Shelton, lodge owner’s son Emil Wanatka, Jr., screenwriter Ann Biderman, gangster Alvin Karpis (via archival footage), and actors Johnny Depp, Marion Cotillard, Stephen Dorff, Giovanni Ribisi, Christian Bale, Bill Camp, John Ortiz, Stephen Graham, Adam Mucci, Branka Katic, Stephen Lang and John Michael Bolger. Given how much historical material Mann covers in his commentary, I worried that the “Timeline” would feel redundant. Happily, that never becomes a problem here. Across the 33 clips, we get a lot of good info about the various elements. In addition to the “talking heads”, we see archival elements and even get to check out a pro-FBI newsreel called You Can’t Get Away With It newsreel. The “Timeline” adds a lot of good background and helps flesh out the film well. For the second part of “U-Control”, we find Picture In Picture. It features notes from Mann, Biderman, Peck, Woods, Misher, Ortiz, Graham, Wanatka, picture car coordinator Blaine Currier, SFX supervisor Bruno Van Zeebroeck, makeup department head Jane Galli, hair department head Emmanuel Millar, Background Picture Cars’ Frank Bachrach, director of photography Dante Spinotti, executive producer G. Mac Brown, camera operator production designer Nathan Crowley, and location manager James McAllister, Roberto De Angelis. Across the 23 snippets, we look at vehicles, props and weapons, stunts and effects, hair and makeup, lighting and cinematography, period details, sets and locations, and a few other production issues. As you can tell from the last sentence, “PiP” focuses on technical areas. It gives us a fair amount of footage from the set in addition to the comments from the participants. We find some good info, but I like “PiP” less than the “Timeline” for a couple of reasons. For one, the “Timeline” simply offers a lot more material, so it better engages us. Almost as importantly, though, Universal made the “Timeline” much more user-friendly. It allows you to easily skip from one segment to another, while the “PiP” elements are more of a chore to watch. No, you’re not forced to watch the whole movie to see them, but the disc makes it awkward to jump to the next piece. I do like the content well enough, but after the smooth execution of the “Timeline”, “PiP” becomes frustrating. Five featurettes follow. Larger Than Life: Adversaries goes for 10 minutes, 19 seconds and includes remarks from Mann, Bale, Purvis, Depp, and Burrough. “Adversaries” offers some facts about the movie’s lead characters as well as research and performances. At times, “Adversaries” feels a little promotional, but it gives us some decent details not found elsewhere. It’s worth a look. We hear more from the director during Michael Mann: Making Public Enemies. In this 20-minute and 32-second piece, we hear from Mann, Misher, Depp, Bale, Graham, Cotillard, Crowley, Brown, Spinotti, convicted robber/technical consultant Jerry Scalise, and actor Jason Clarke. This show offers a fairly general look at the flick, as it touches on a mix of subjects like history, cast and characters, research and period details. The overriding theme tends to relate to Mann’s take on the material and his viewpoint; we do hear a bit from the others, but as implied by its title, the program is mainly about Mann. It acts as a decent glimpse behind the scenes, but it’s not especially memorable – at least not after the commentary and “U-Control”. I do like the material about bank robbery research, as we don’t find that info elsewhere. For the eight-minute and 44-second Last of the Legendary Outlaws, we find remarks from Mann, Bale, Depp, Burrough, Scalise, Clarke, Dorff, Cotillard, and Lang. “Outlaws” acts as a mini-biography about Dillinger and serves to set the table for viewers before they see Enemies. Actually, it’s more than just a primer, as it gives us some notes that don’t appear in the flick, but it does feel mostly like a promo reel intended to interest folks in the film. We check out movie sites in On Dillinger’s Trail: The Real Locations. It goes for nine minutes, 48 seconds as it presents notes from Mann, Brown, Crowley, Depp, Spinotti, Bale and McAllister. “Trail” shows us some of the historic locations featured in the film. We’ve already heard this info elsewhere, and in more detail. If you’ve already gone through the other features, you’ll miss little if you skip this one. Finally, Criminal Technology lasts nine minutes, 39 seconds and provides remarks from Mann, Depp, Bale, Burrough, Shelton, Dorff, Currier, and Lang. The featurette looks at 1930s techniques for robbery and crime fighting. As with “Trail”, this one feels somewhat redundant after all the other pieces. Still, we do learn a few new facts here. Next comes a trivia contest called the Gangster Movie Challenge. This offers 10 questions apiece about five different flicks Public Enemies, American Gangster, Casino, Carlito’s Way, and Scarface (1983). It takes us through six rounds; Enemies accounts for the first and final rounds. The questions can be surprisingly tough, and this is a moderately fun trivia contest. A second disc offers a Digital Copy of Public Enemies. Via this platter, you can slap the flick onto a portable viewing gizmo or a computer. If that excites you, I’m happy. More than 60 years after the first movie about John Dillinger, we’re still waiting for a really good film biography of the outlaw. 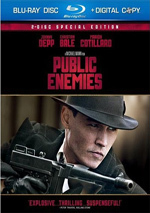 Public Enemies is a dull, cartoony tale that lacks almost any redeeming qualities, as it flops in far too many ways. The Blu-ray offers very good picture and audio as well as a solid collection of supplements. Fans of the film will feel pleased with this high-quality release, but the movie itself leaves me almost totally disenchanted.